The guest house « La Belle Joséphine » is located in the hamlet of Grand Gondon at an altitude of 763 metres downstream from Bourg Saint Maurice, on the left bank of the Isère river, 8 minutes from Bourg Saint Maurice Les Arcs. 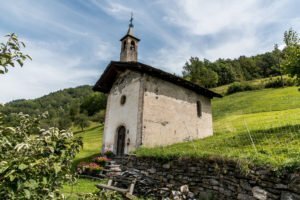 This hamlet is part of the former commune of Hauteville-Gondon merged on December 15, 1964 with that of Bourg Saint Maurice in order to create the ski resorts of Les Arcs. The altarpiece painting depicts him healing a child on his knees near his mother. Saint-Pantaléon is the patron saint of doctors and midwives. As a doctor at the court of Emperor Maximian, he was known for treating his patients free of charge, asking only for God’s love in exchange. He was persecuted for his beliefs and beheaded in 305, refusing to deny his faith. He is celebrated on July 27th. Pantaléon by Nicomédie 2nd half of the XVIIth century is being restored. This chapel would have been built in 1850 and maintained by the piety of the inhabitants. The chapel is open every evening in May for prayer. The path to heaven linking the hamlets of Le Petit and Grand Gondon. built to connect the various villages of Hauteville-Gondon to Landry. This road would have been very popular for the transportation of foodstuffs for the armies and travellers. This information has not been confirmed. 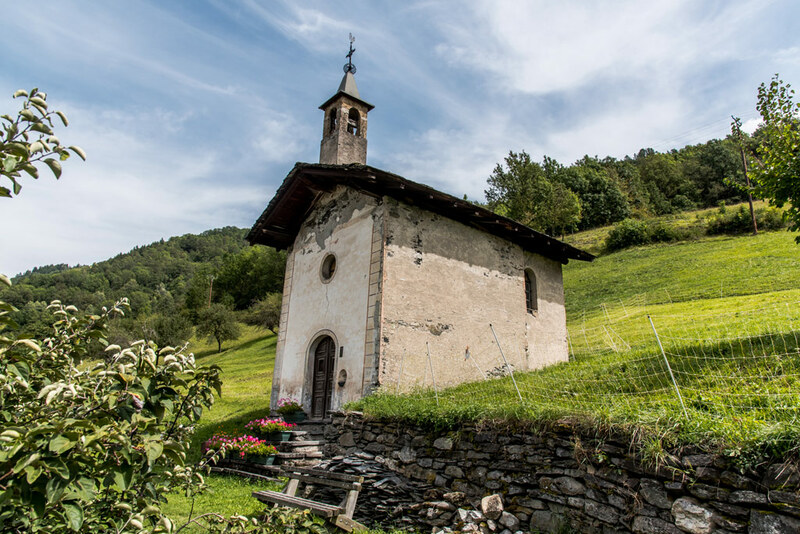 On the path to heaven, after having crossed a wooden bridge from Little Gondon, you will find an oratory. 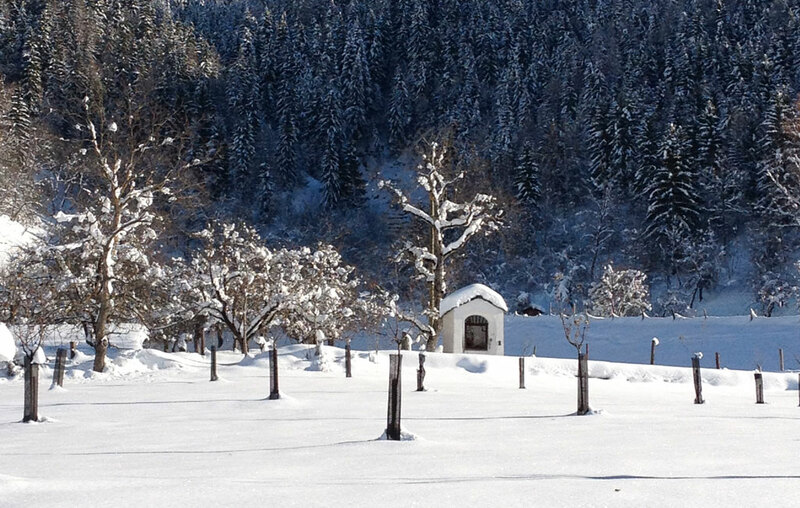 The Grand Gondon had a traditional orchard. 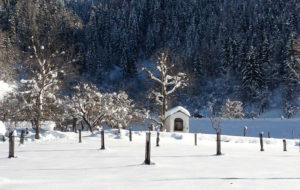 Fruit tree farming was an ancient practice and played an important role in village agriculture. The land register of 1728 shows a large number of orchard meadows. 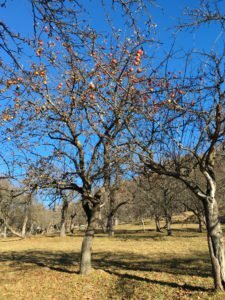 Following the remarkable floods of 1937 – 19/09/1988 – 12/07/1991 and especially 15/10/2000, the orchards of Greater London were largely devastated. 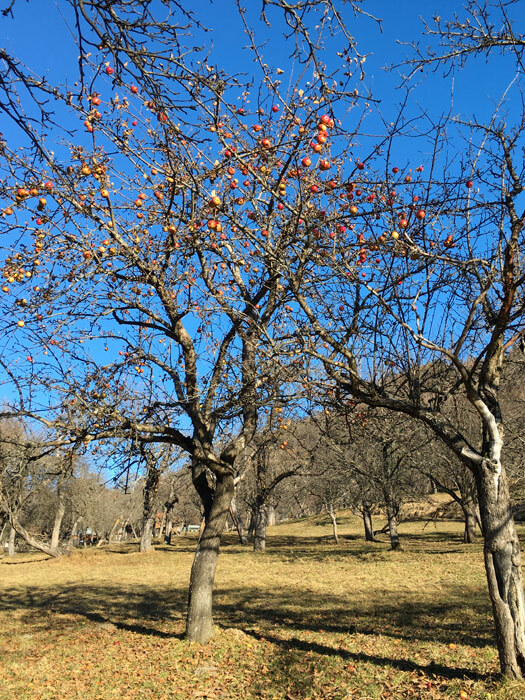 In 2005, the association of the “croqueurs de pommes de Tarentaise” (Tarentaise apple cruncher association) and the municipality revived the orchard by financing the production, the planting of young trees and the development of the site.